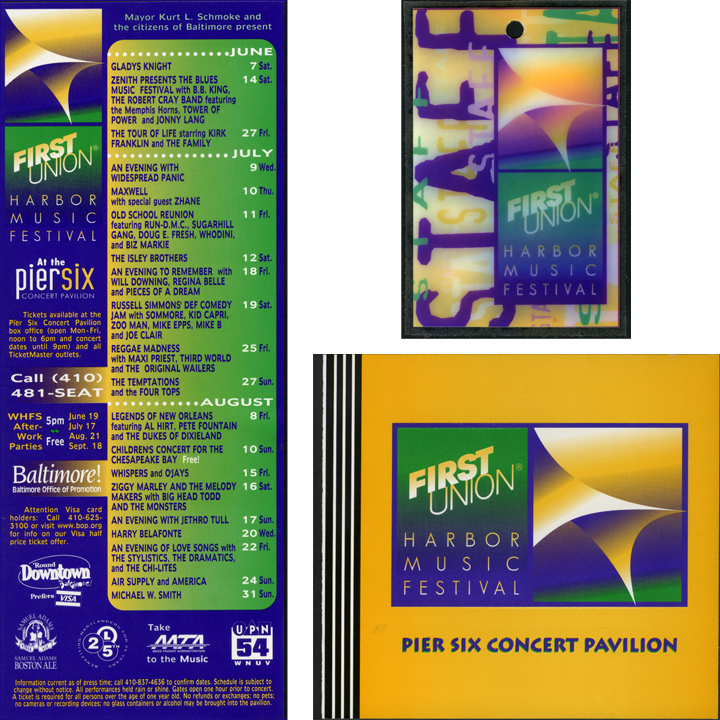 Pier 6 was a Baltimore City managed venue for international musicians performing in Baltimore. The pavilion is on the waterfront at the Inner Harbor area. 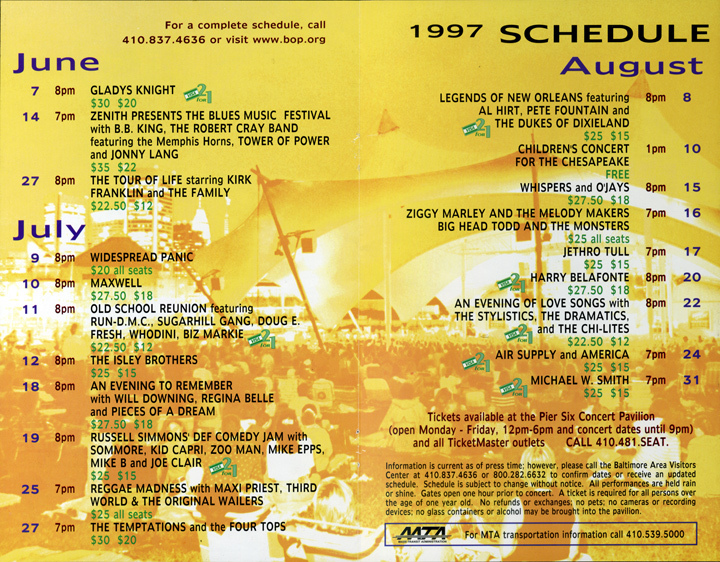 Each year was summarized in a 3-color program, and many collateral materials, including advertisements, were produced in conjunction with the concert series. 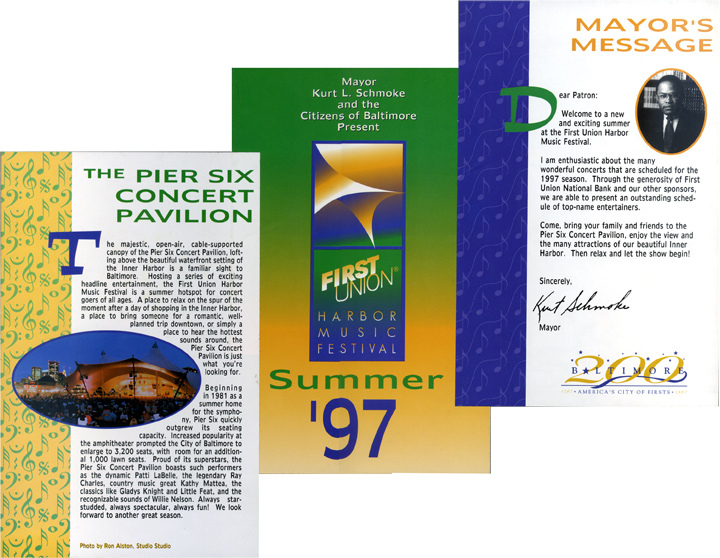 The Baltimore Office of Promotion was responsible for booking, management, organization and marketing of the concerts. PFAD is a locally owned and operated collective of designers and web developers ready to add value to any project. Your organization can benefit from individual attention while leveraging a complete team of experts.